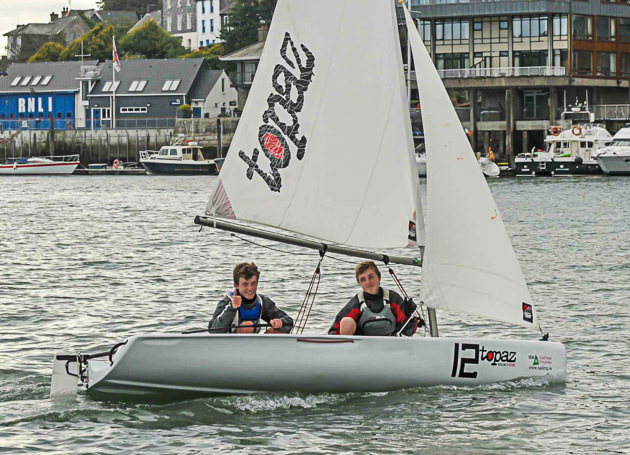 Following a seven race series sailed over two days at Kinsale Yacht Club in the ISA fleet of Topaz dinghies Harry Durcan crewed by Harry Whitaker has emerged as the top Junior Sailor in Ireland. 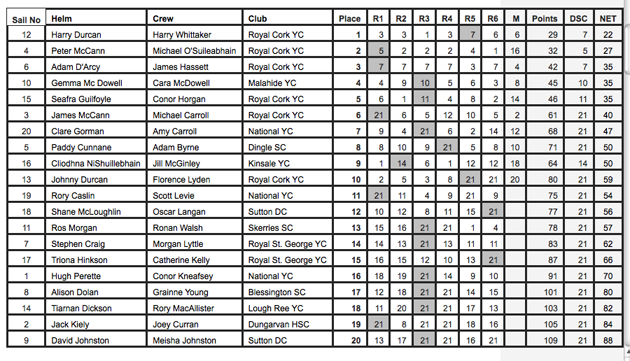 Second was Peter McCann crewed by Micháel Ó Shuilleabháin with Adam D’Arcy crewed by James Hassett in third place. Jack Roy was the Principal Race Officer and the event consisted of six preliminary rounds following which the top ten raced a medal race that counted for double points and for this race six teams from the Royal Cork Yacht Club made it through together with with one team from Malahide Yacht Club, National Yacht Club, Dingle Sailing Club and Kinsale Yacht Club, the host club for the event. This has been a very successful and eventful year for Harry Durcan and he will be moving on in 2015 to compete in the 29er fleet. However, before this he has one more event to top them all and this will be his journey to Argentina to compete for the last time in an Optimist at the Optimist World Championships 2014. We wish Harry and all the Junior sailors the very best in their sailing endeavours. Round the World Yachtsman Alex Thompon to visit Cork.